Not many people are excited to go to the dentist, but most can tolerate the procedures and routine cleanings. If, however, your worries about dental work have you considering not going to the dentist at all, know that there are options out there to make your dental appointments stress- and pain-free. With Oral Sedation dentistry, a little blue pill is all you need to keep you relaxed and calm during your procedures. How can you tell if you’re a good candidate? 1. Going to the dentist makes you extremely anxious. The most obvious use for oral sedation dentistry is for people who truly fear going to the dentist — and it’s not at all uncommon. An estimated 9 to 15% of Americans avoid going to the dentist because of nervousness! If you fall into this category, oral sedation may be an excellent option for you. It’s less overwhelming than IV sedation, and will leave you conscious enough to respond if needed, but sedated enough that you won’t be aware of the sound of drills or of any pain. 2. Dental work is typically painful for you. For people with sensitive gums and teeth or other dental problems, going to the dentist can be less anxiety-inducing and more painful. Many people who avoid going to the dentist because of the associated pain are unaware that sedation methods exist. If your trips to the dentist are often painful, speak with your dentist to see if oral sedation dentistry is the right choice for you. 3. You’re bothered by the smells and sounds of the dentist’s office, or you have a strong gag reflex. Many people are not anxious to go to the dentist, but find the smell of gloves or the sound of the drill to be uncomfortable or disturbing. Many others have strong gag reflexes and are extremely embarrassed about them. If you find the sensory experiences of the dentist’s office to be unpleasant, oral sedation is a great way to avoid the smells and sounds while maintaining excellent dental health. 4. You want to be sedated, but not fully knocked out. 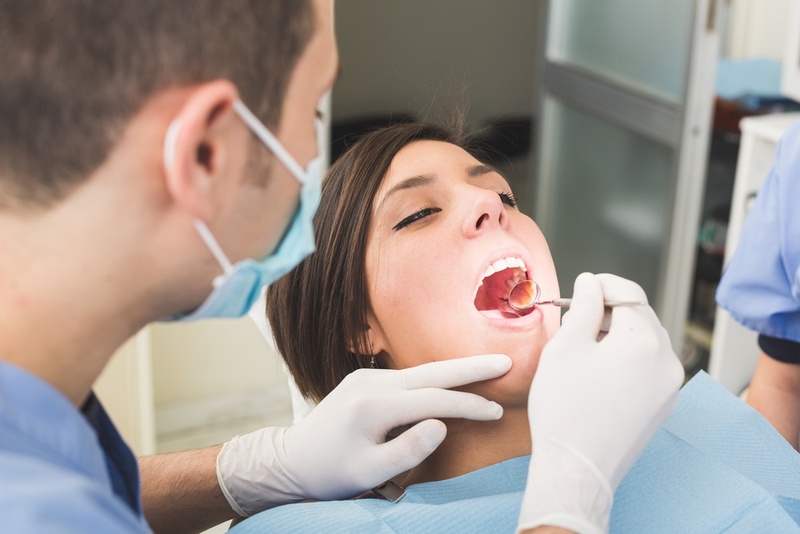 Many people are unaware that there are varying degrees of dental sedation, ranging from minimal to general anesthesia, when you are completely unconscious. Oral sedation is typically minimal or moderate, meaning that you will be awake, but relaxed or groggy. This is a perfect option for people who fear the needles associated with IV sedation, or for people who fear the feeling of being fully unconscious. 5. You plan to have a long procedure. Most people can tolerate a bit of pain or discomfort for a short procedure or office visit, but many fear the prolonged pain associated with a more complex or intensive procedure. If you know that your procedure will have you sitting in the dentist’s chair for a good length of time, oral sedation will allow you to keep calm throughout the process. Interested in having oral sedation for your next dental appointment? Contact our office at (610) 696-3371, or visit our website to schedule your free consultation. Our staff looks forward to answering your questions and ensuring that your next visit is relaxing and painless.